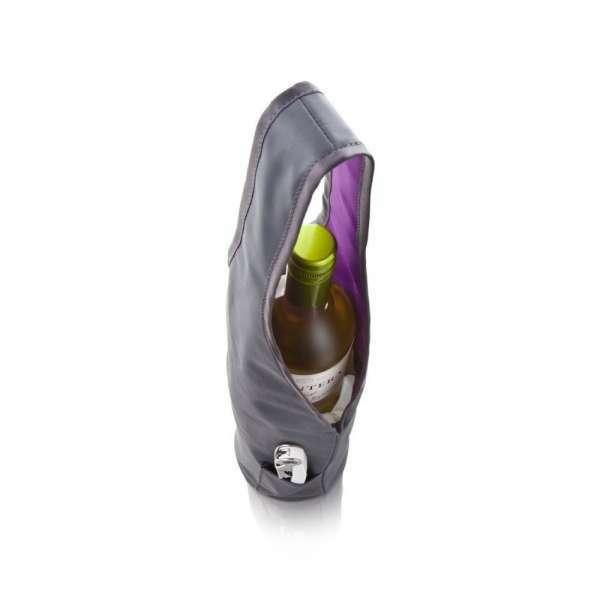 Vacu Vin Wine Bottle Carrying Bag, Grey/ Purple The Bottle Bag was added to Vacu Vin's ever-growing innovative assortment in 2013. It provides a stylish and elegant avenue for carrying wine bottles - something that is ideal for occasions such as picnics, barbecues and birthdays. The device features a convenient pocket that is designed to accommodate other wine-based accessories.